Canadian winter can be endless. If it is not cold outside, then probably sloppy and muddy. It makes us often stay indoors. While it sounds sad there are lots of opportunities to play at home and one of our favorites is board games. Monster Crunch! 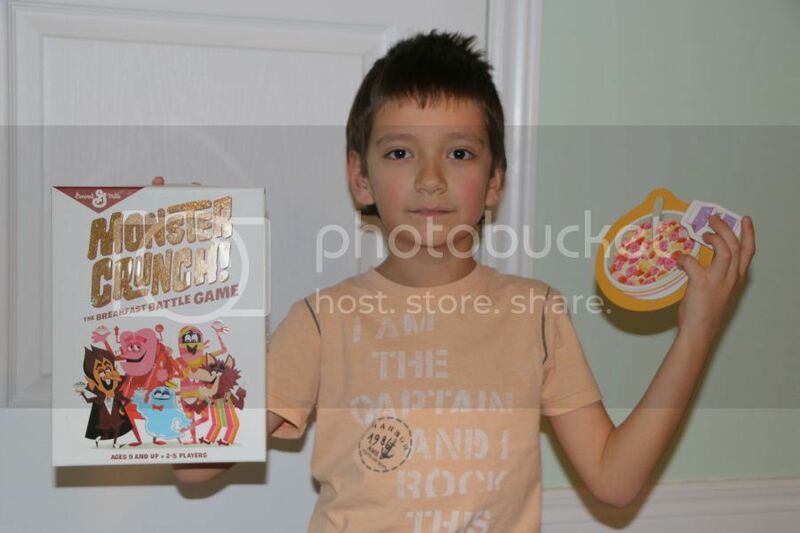 The Breakfast Battle Game stars the classic Monster Cereal Characters from General Mills. It is not easy for us to feed Teddy in the morning, but when it comes to the game he is always ready to play. Monster Crunch! invites players to pick their favorite Monster Cereal character from Boo Berry, Count Chocula, Fruit Brute, Fruity Yummy Mummy, and Franken Berry. From two to five players can participate in the game. Each player gets own Cereal Bowl Card, 36 Cereal Cards and two Monster Power Cards. The game is played through three hands, what means each player gets 12 Cereal Cards per hand. 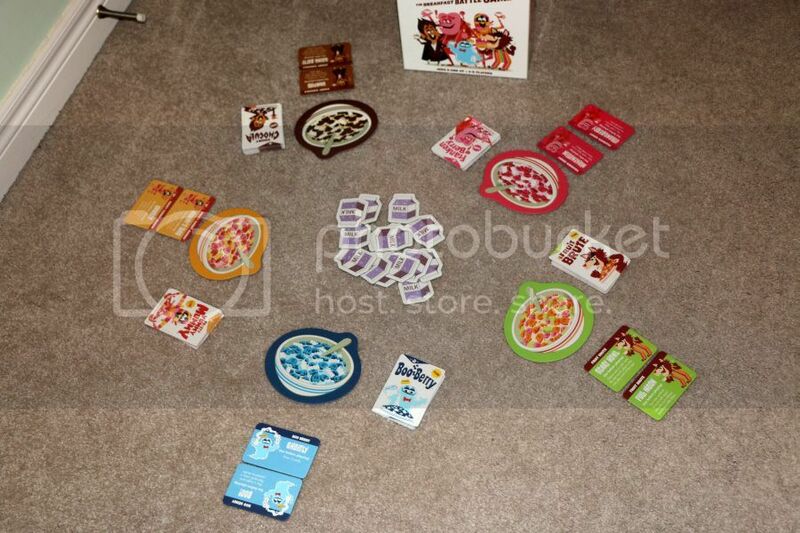 The main purpose of the game is to collect as many Cereal Cards as possible in the Bowl and the player with the most cards wins. What a cereal without milk? 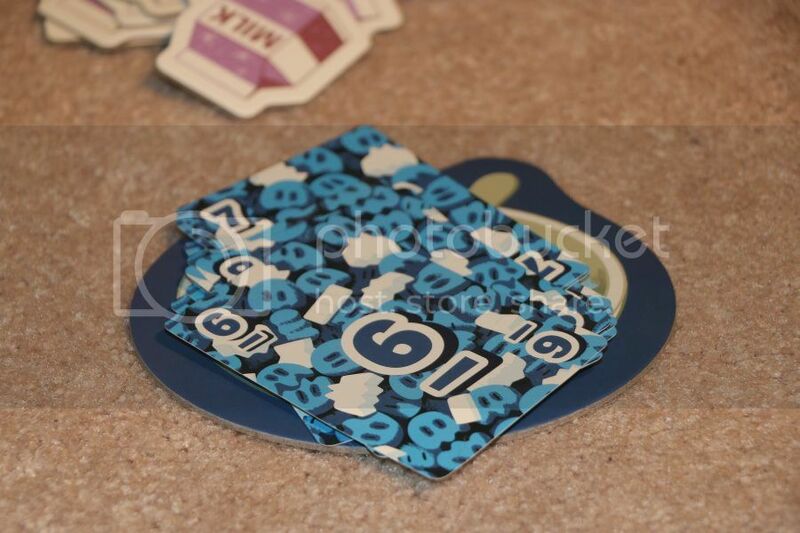 In this game there are special Milk Tokens which are used to combine numbers of Cereal Cards. Since Cereal Cards are numbers from 1 to 12, to get bigger numbers players can use Milk Tokens. For example, use 5 and 10 to submit 15. The person who last eat cereal ( real one ) starts the game, and place Cereal Card on his Bowl. Next player must place his Cereal Card of the same or greater number of previous player. I think the most fun begins when we start combining numbers and try to match and beat the opponent with bigger number using milk tokens. 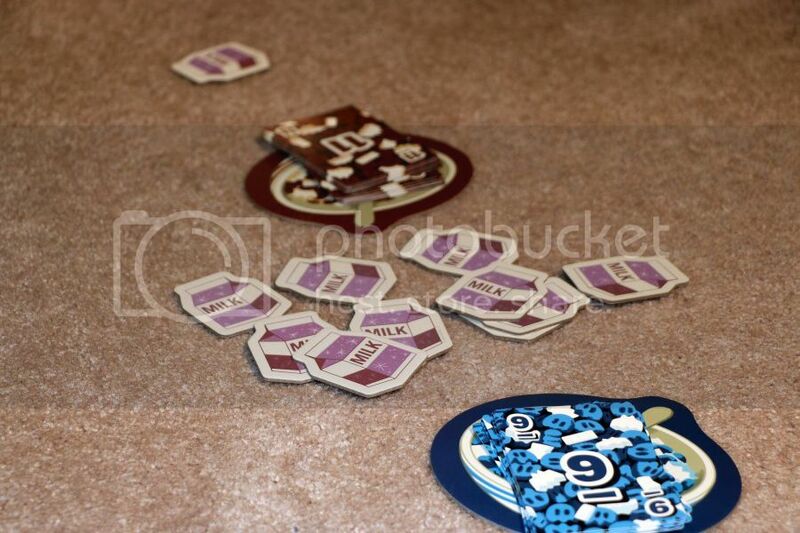 If there is no number to match, the player misses the round and takes one milk token to use for the next round. There are two Monster Power Cards per each player to advance in the game. Teddy was so reluctant to use them and always wants to save them for the future, just in case. Players can use these cards only once in the game and they are very helpful. We do not follow any special strategies, often break the rules, laugh and have fun. This game reminds me old family card games, but for Teddy is totally new game to play. Designed for ages 9+, Monster Crunch! The Breakfast Battle Game is fun game during cold days and windy weekends. You can find Monster Crunch! The Breakfast Battle Game on Amazon, Walmart, Mastermind in Canada and other major toy retailers across North America.